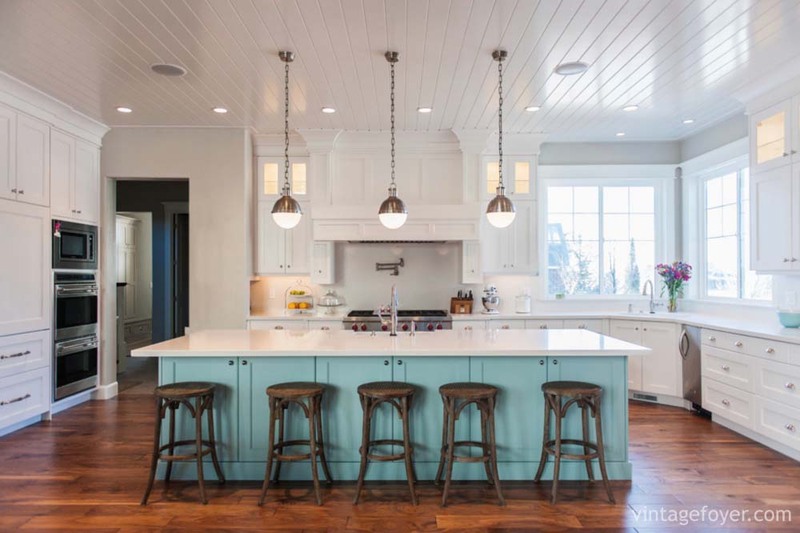 This luxurious kitchen offers a large island in a sky blue that stands out next to the beautiful white cabinets. 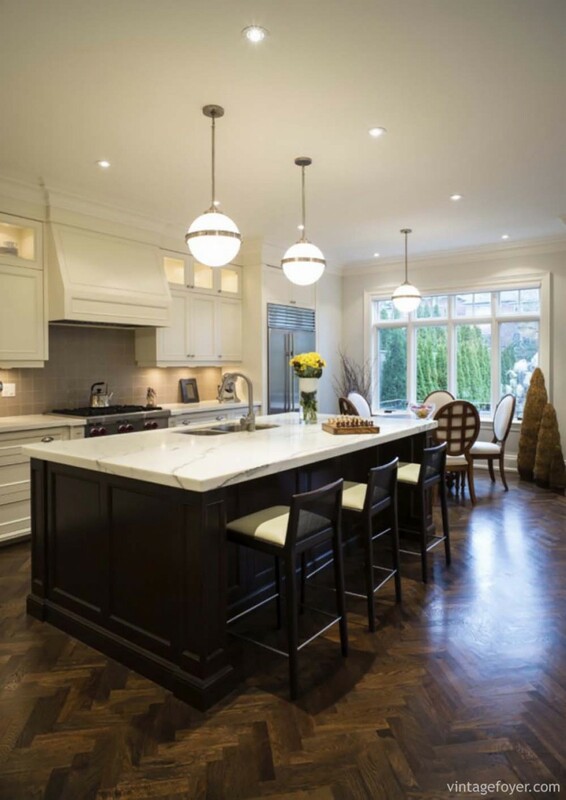 The herringbone pattern of the hardwood floors adds a luxurious contrast to the white cabinets and marble countertop. Marble placed down the sides of this island adds a beautiful touch to this kitchen while providing a luxurious contrast to the hardwood floors and cabinets. 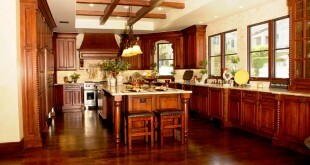 The beautiful mixed hardwood floor offers a unique feel to this kitchen. 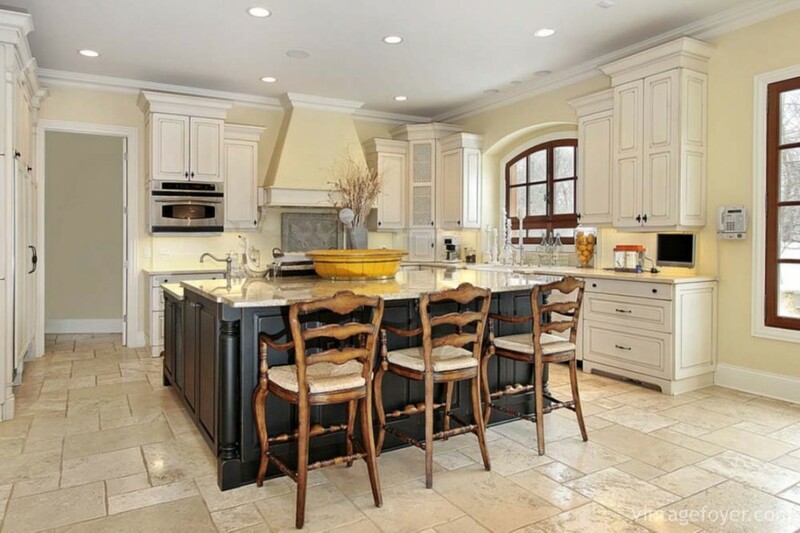 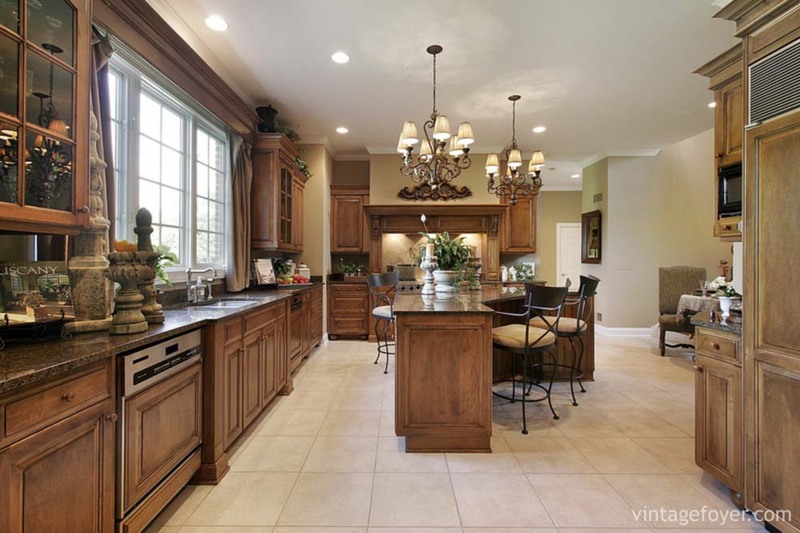 The hardwood cabinets and high end appliances bring a luxurious tone to this kitchen. Rich cherry hardwood contrasting with stainless steel brings luxury into this kitchen. The unique hardwood oven hood gives this kitchen a traditional and homely feel. 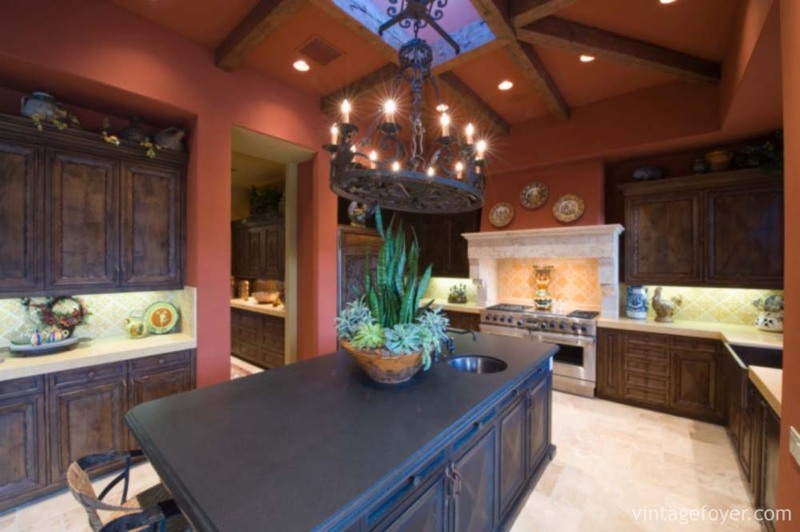 Marble countertops and a built in wine rack give this beautiful kitchen a grandeur feel. 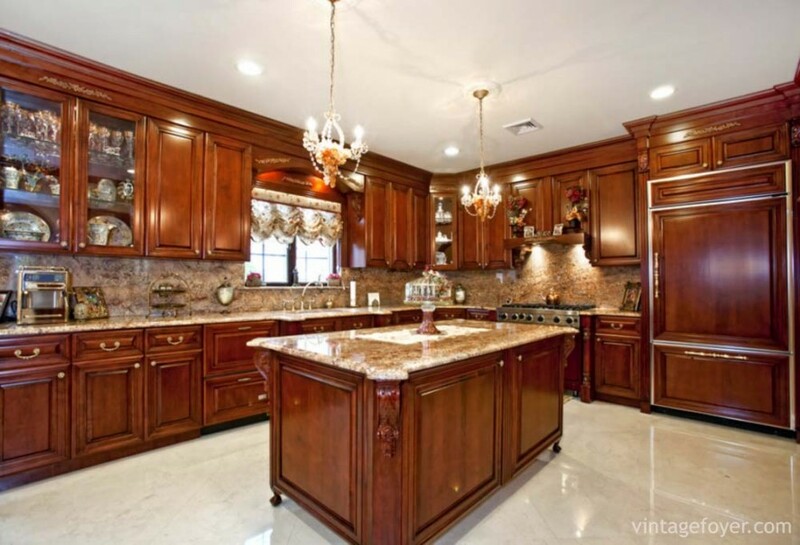 The custom hardwood cabinets bring luxury into this kitchen while offering a very traditional design style. 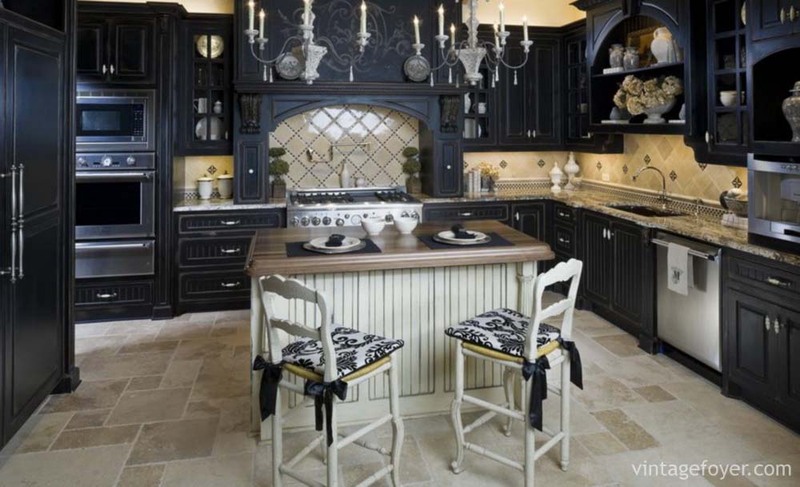 Custom backsplashes always provide a grand feel to any kitchen. 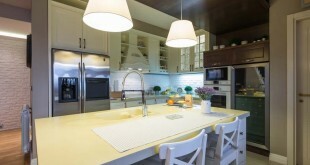 The use of a contrasting wood tone to the light backsplash provides a very modern and luxurious feel. 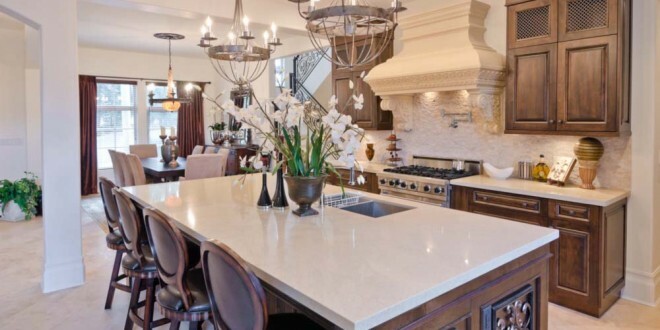 The large island and custom woodwork placed with a beautiful tones quartz countertop provide traditional design with luxury. 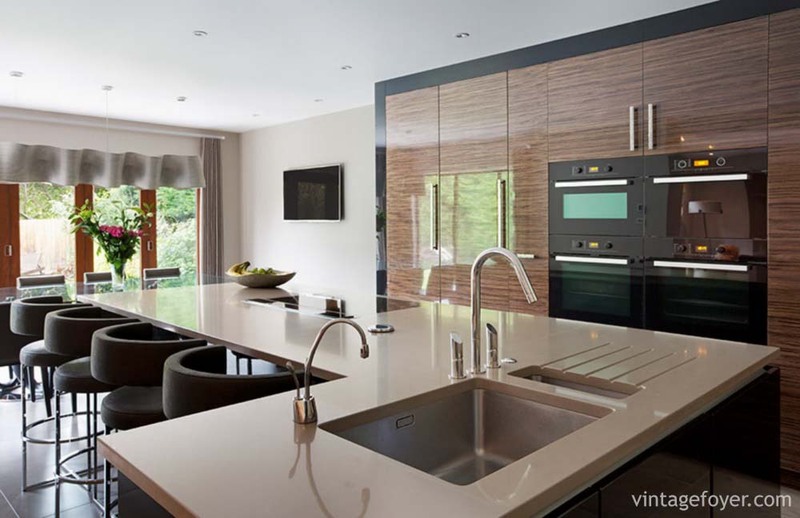 Built-in appliances and cream quartz countertops provide this kitchen with a contemporary design. 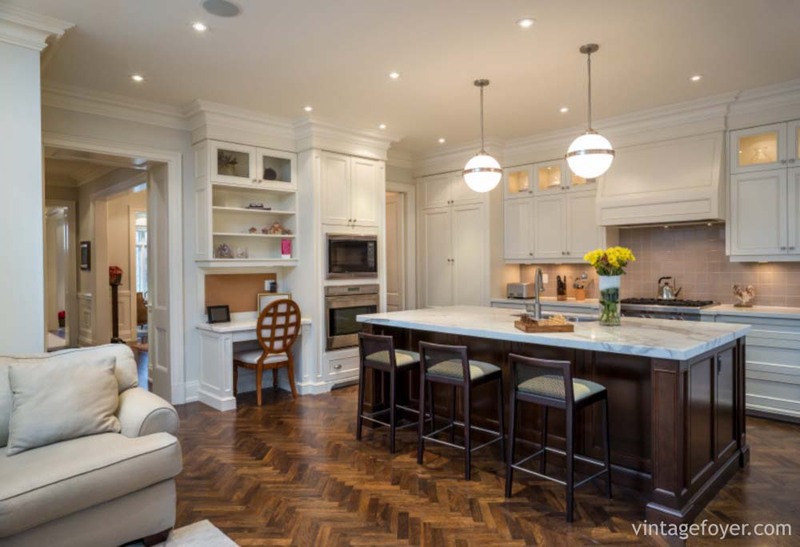 White marble countertops, dark hardwood island, and a luxurious herringbone floor offer an extravagant feel. 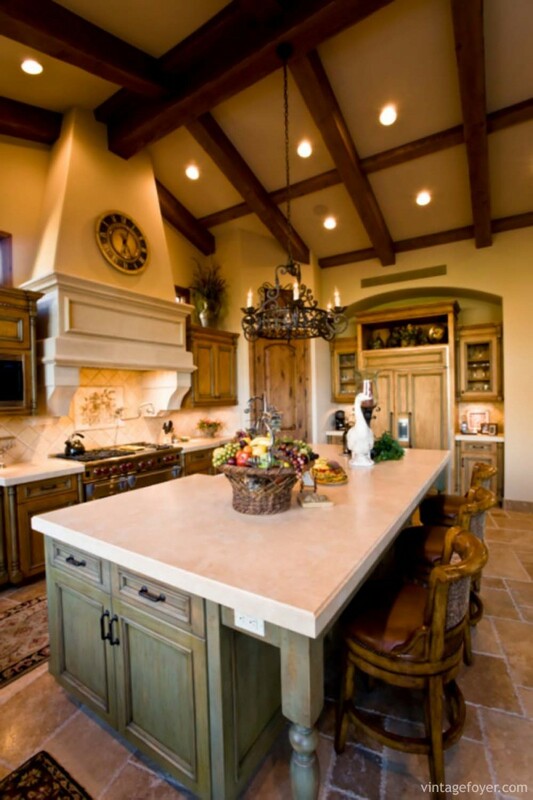 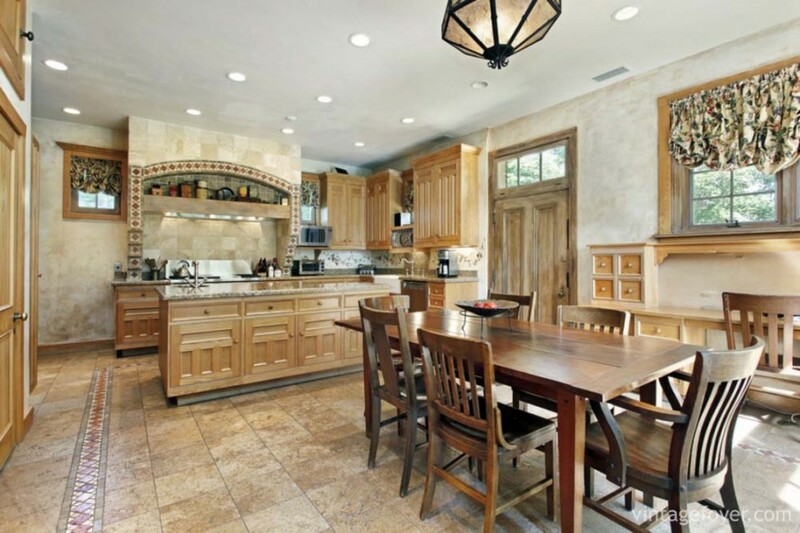 Custom stone arches, custom woodwork, contrasting wood tones, and high end appliances show grandeur in this kitchen. 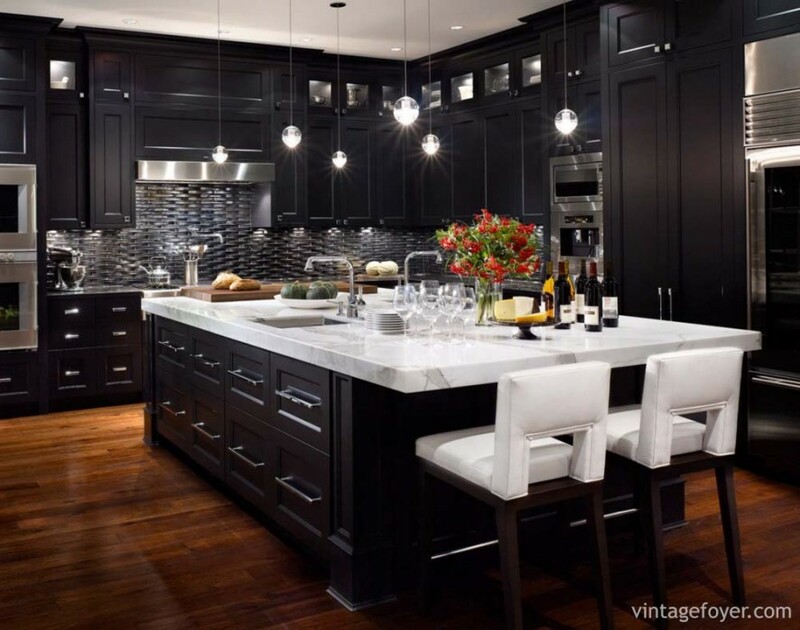 Dark tones in this kitchen with contrasting “pops” of white and high end appliances offer a modern twist to this traditional kitchen. 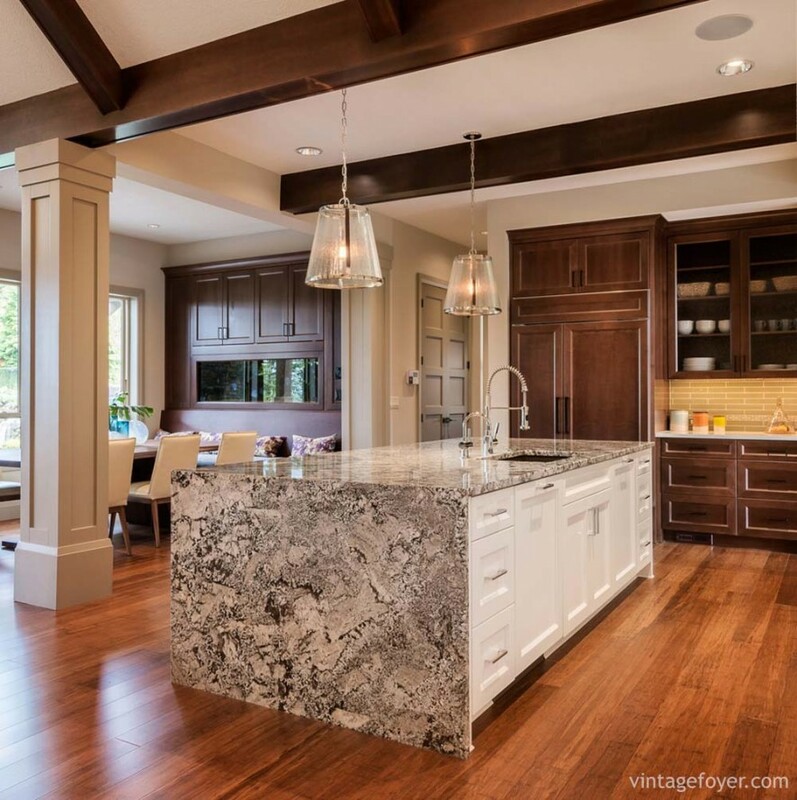 Natural wood grain, natural toned marble, and high end appliances offer luxury in this beautiful kitchen. 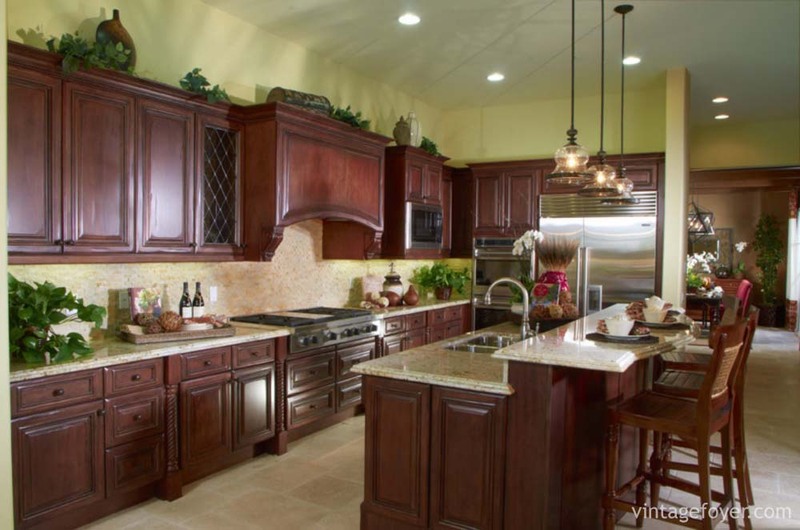 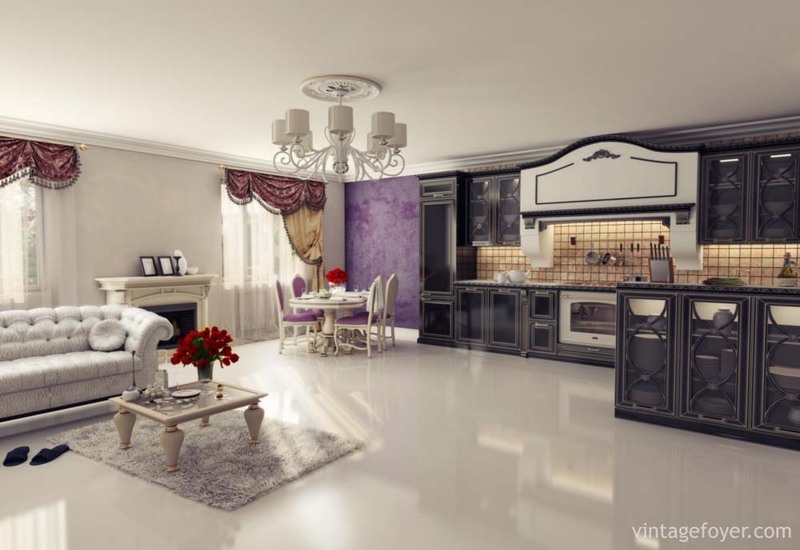 Rich red tones, deep hardwood, and high end appliances offer this kitchen a stately and unique feel. 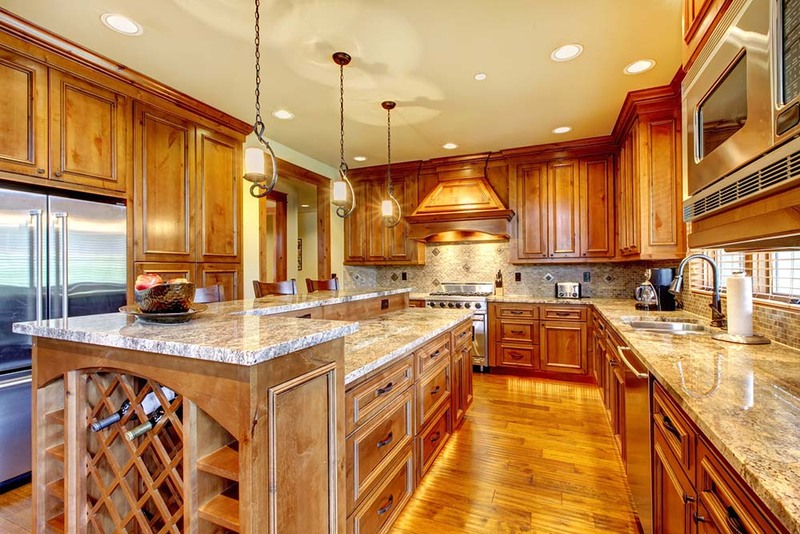 White wood cabinets, stainless steel appliances, large island, and beautiful hardwood floors. 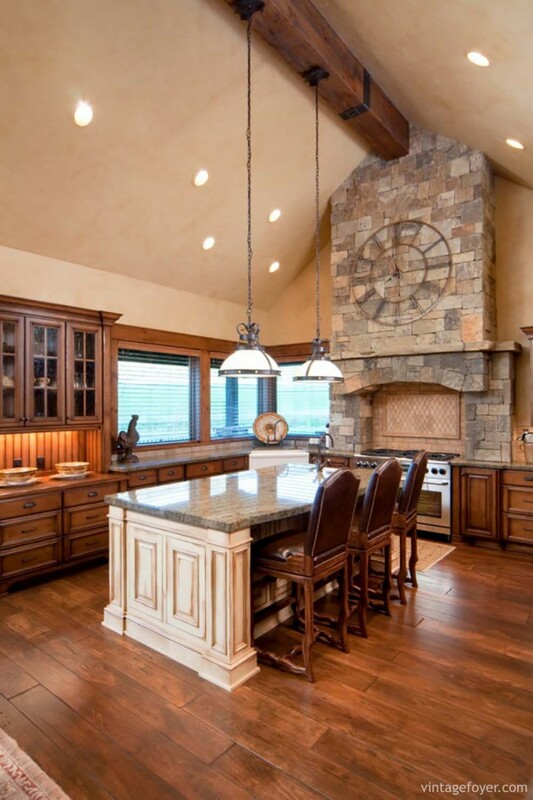 Contrasting cabinets, stone countertops, custom woodwork and natural tile floor. 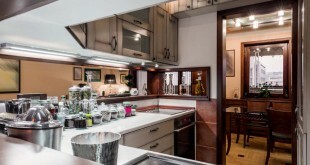 White shaker cabinets, stainless steel appliances, beautiful marble countertop, and light tile backsplash. 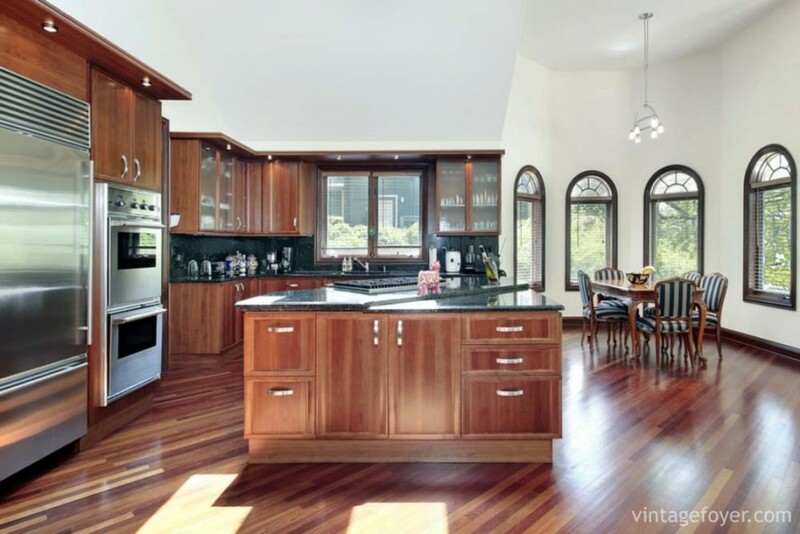 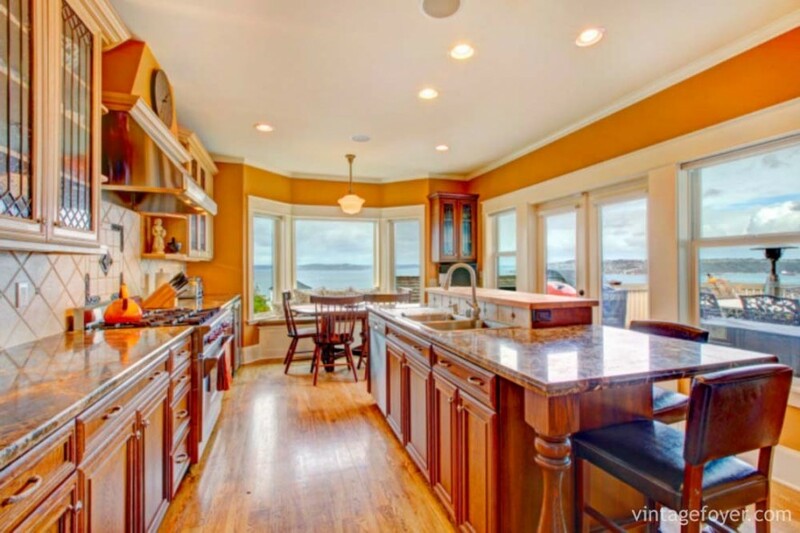 Dark marble countertops, hardwood floors, and cabinets offer a luxurious feel to this kitchen. 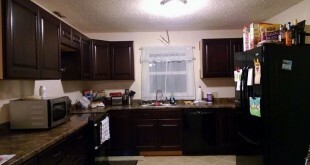 Custom black cabinets, large custom oven hood, white flooring, and stainless steel appliances. 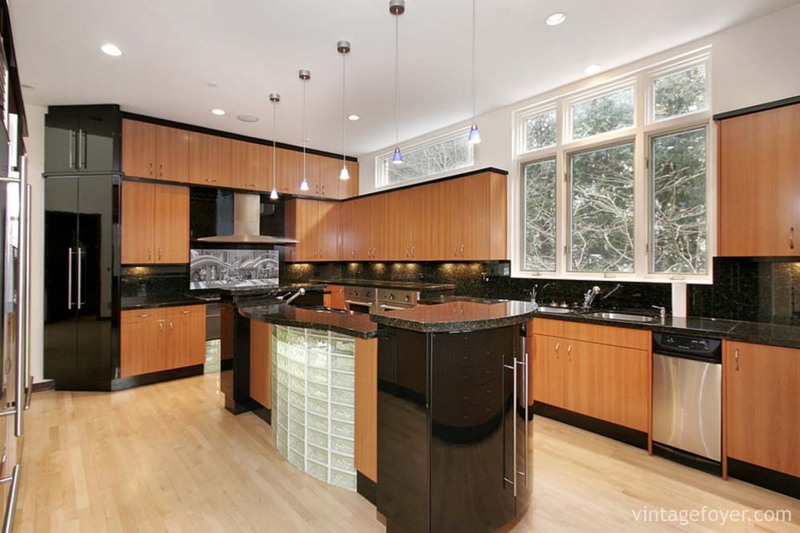 Dark modern cabinets, contrasting island, grey tile floor, and stainless steel appliances. 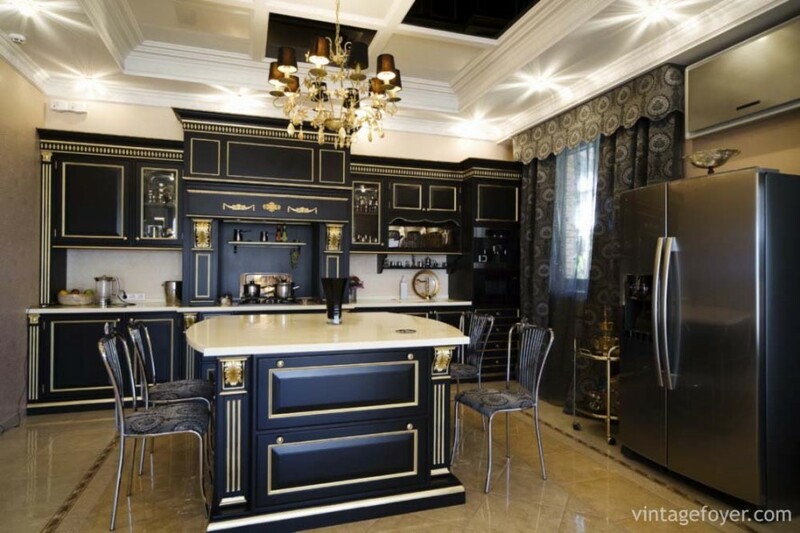 Custom black cabinets, large stainless steel appliances, contrasting white countertops, and extravagant lighting. 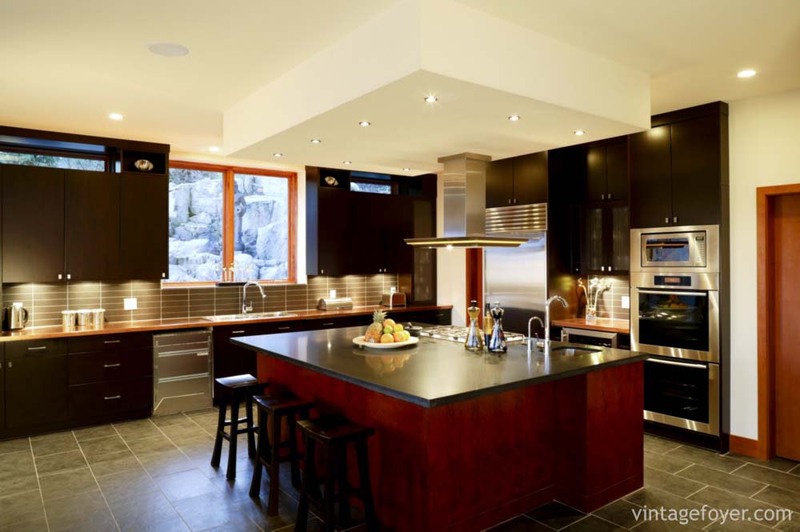 Custom tile backsplash, black traditional cabinets, contrasting white island with butcher block countertop, and custom lighting. 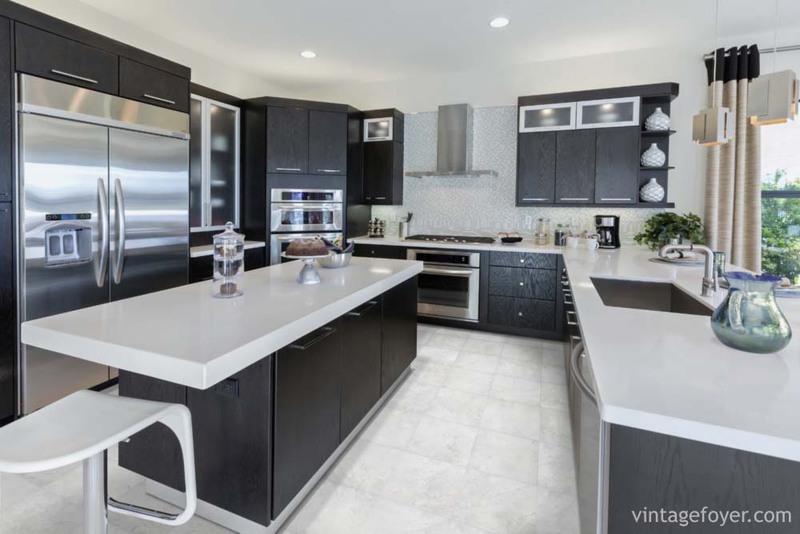 White quartz countertop, black modern cabinets, white tile floor, and stainless steel appliances. 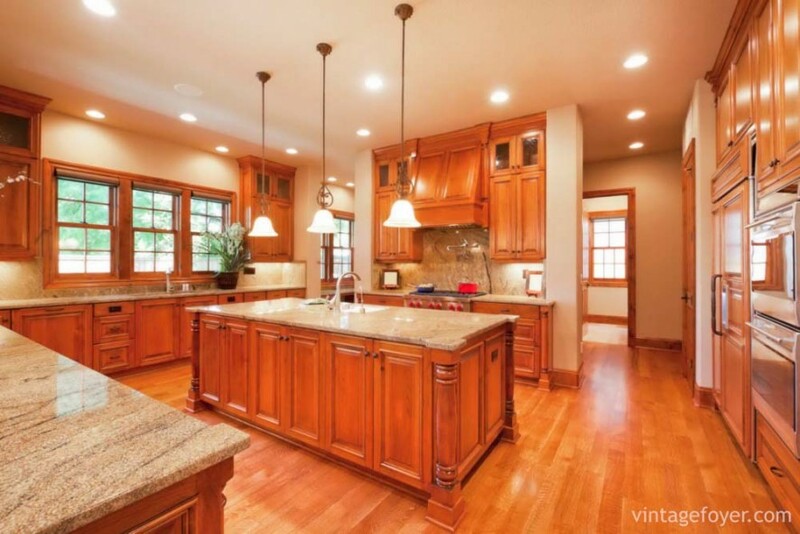 Natural toned tile, custom oven hood, hardwood cabinets, and large island. 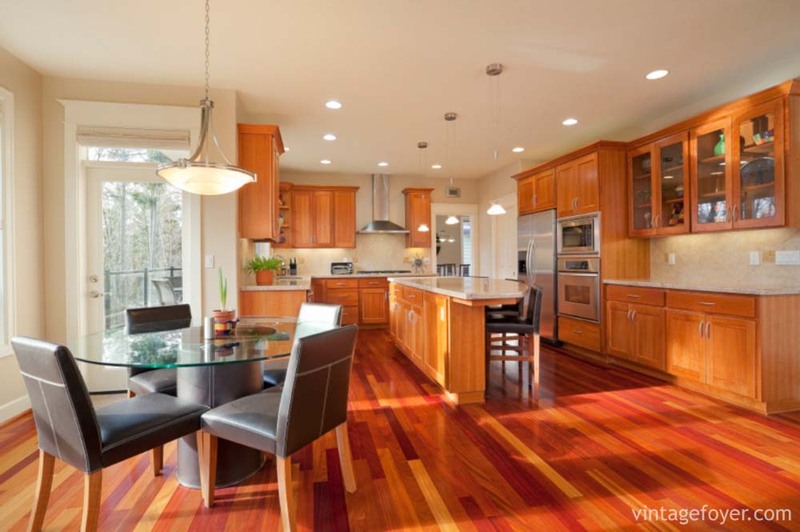 Cherry hardwood cabinets, luxurious marble countertops, and stainless steel appliances. 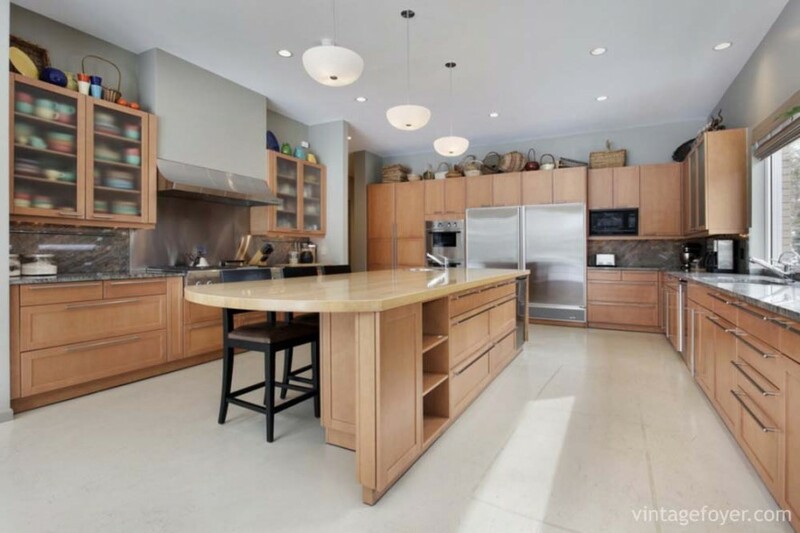 Simple modern cabinets, large glass in-laid island, high end appliances, and beautiful natural light. 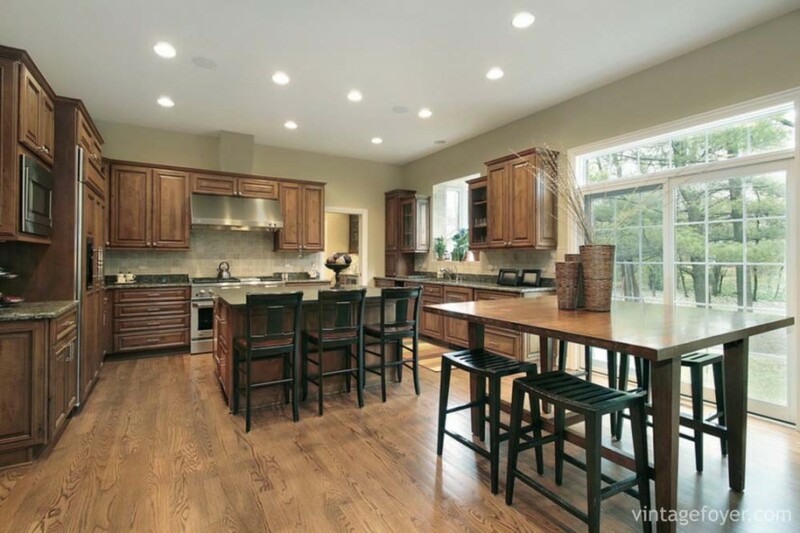 Custom hardwood cabinets, open floorplan, natural lighting, stainless steel appliances, and a beautiful contrasting countertop. 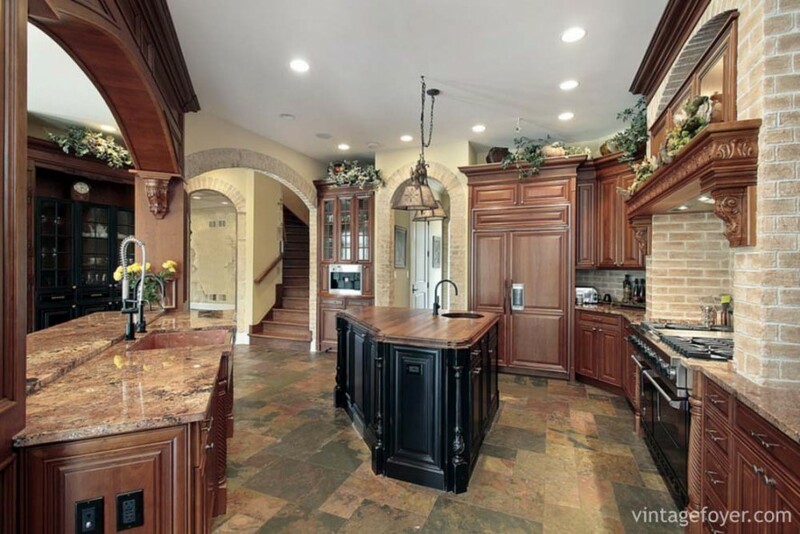 Custom wood and tile work, unique tile backsplash, cream toned tile, and unique luxurious island. 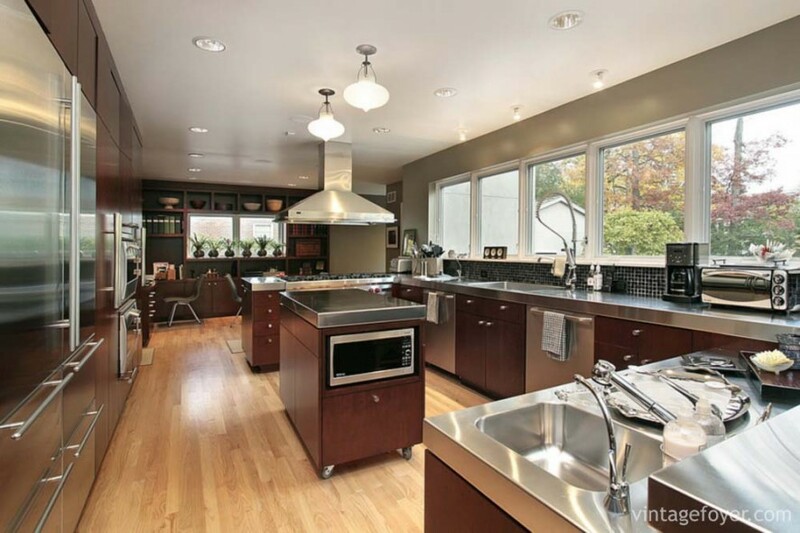 Stainless steel appliances and countertop provide an industrial feel to this elaborate kitchen. 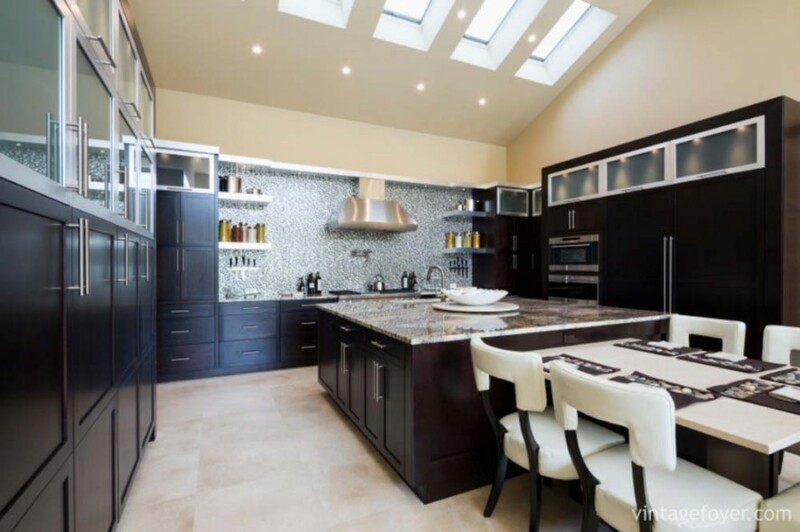 White traditional countertops, contrasting large black island, natural light toned tile, and custom oven hood. 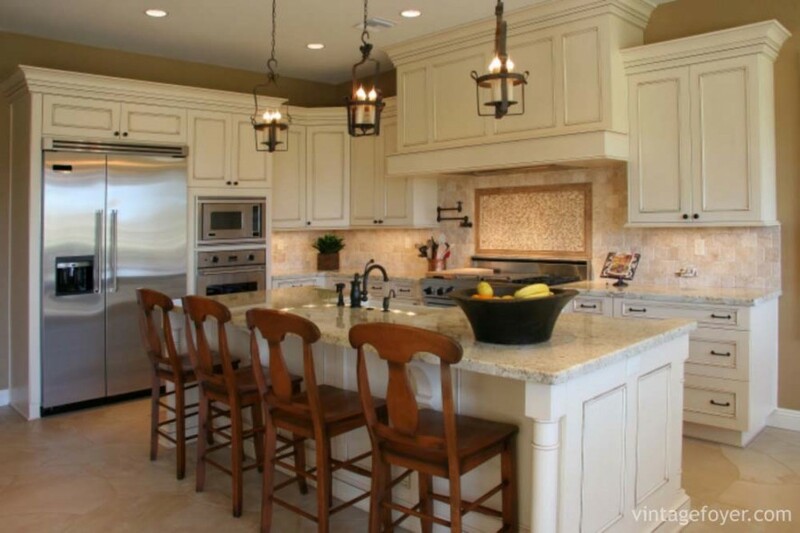 Beautiful hardwood custom cabinets, large open concept, cream colored tile, and elegant light fixtures. 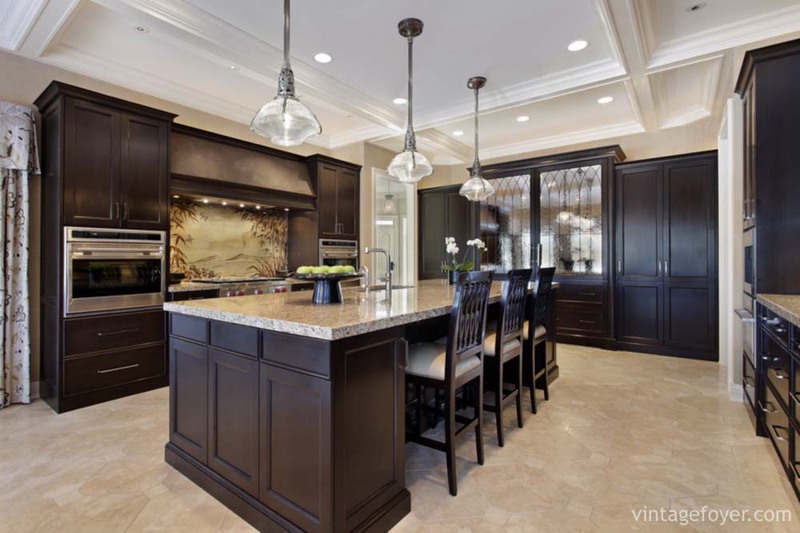 Dark toned cabinetry, contrasting light marble countertops, high end appliances, and a unique diamond tile floor. 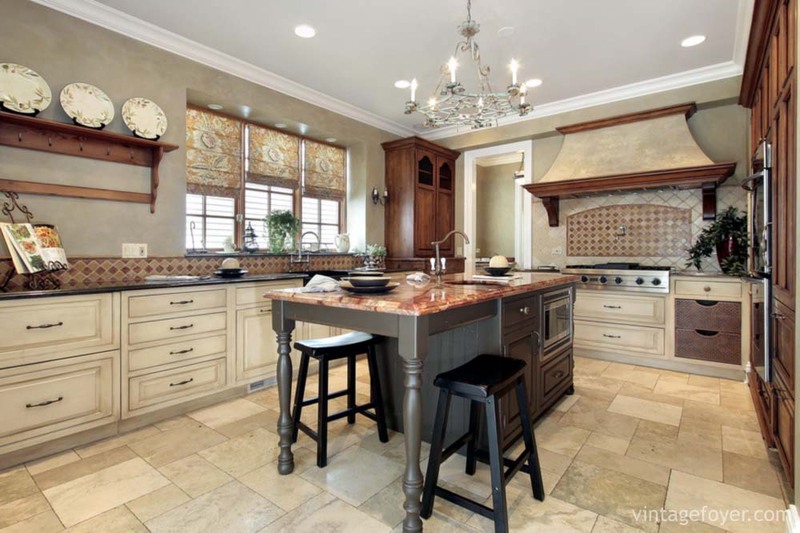 Custom cherry woodwork, beautiful marble countertop and backsplash, cream colored tile providing a light contrast. 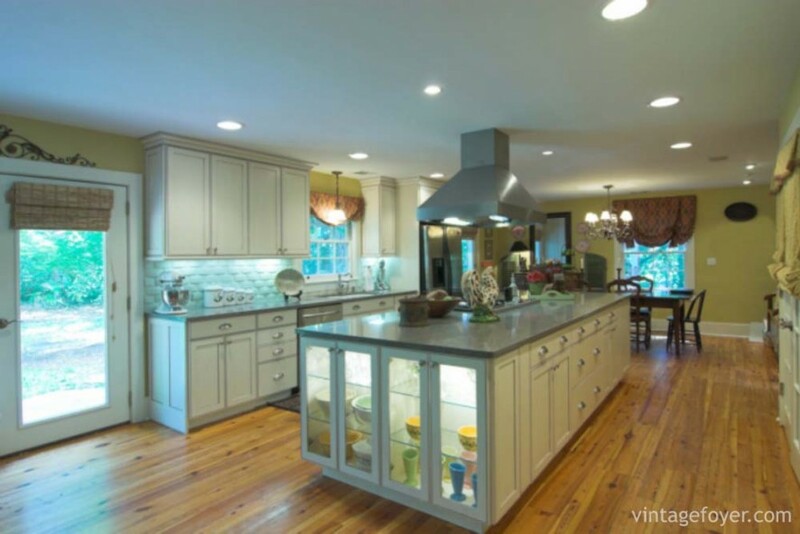 Light wooden cabinets with contrasting grey countertop, large high end appliances, and beautiful light toned floor. 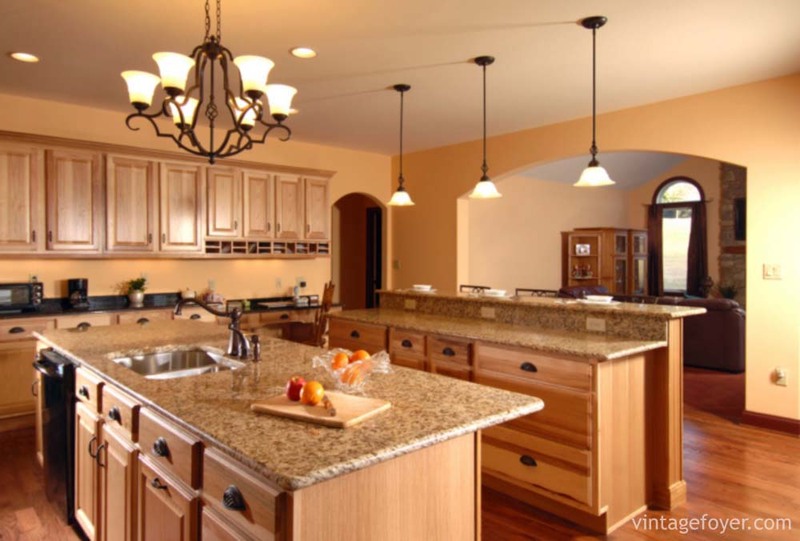 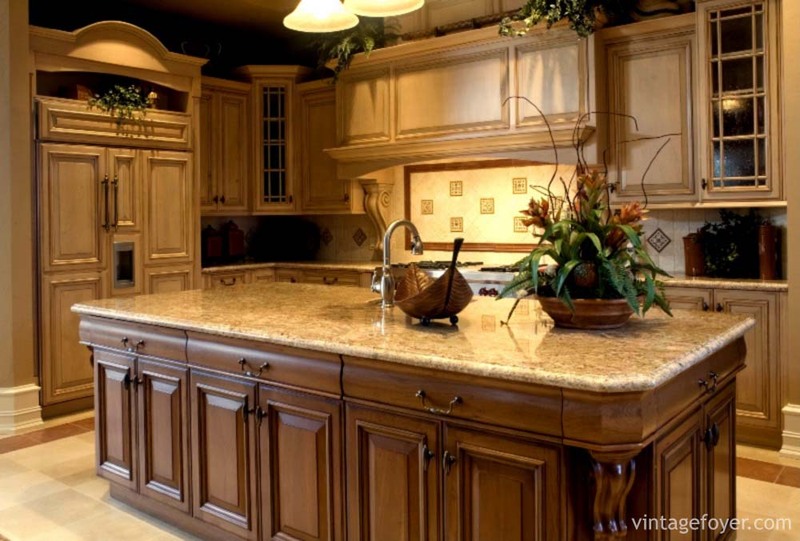 Traditional cabinets with light tones, contrasting with a dark toned island with custom woodwork to embellish.